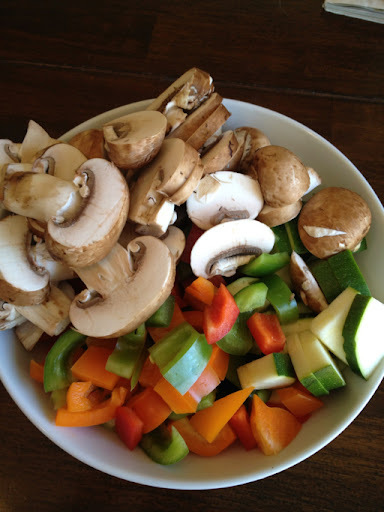 I just cut up a bunch of zucchini, bell peepers and mushrooms for my Tons of Veggie Spaghetti. It's one of those great dishes that you can sneak 3 or 4 or 5 servings if veggies in and get a hearty meal out of it. 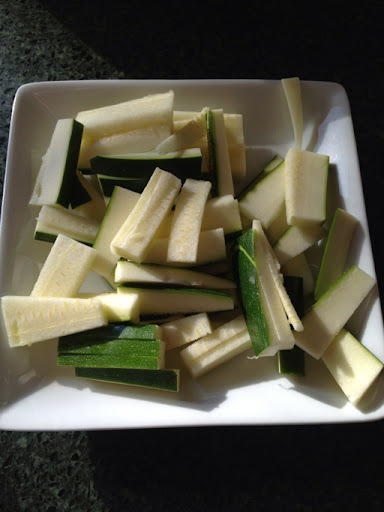 Tonight instead of noodles, I'm grilling up some zucchini strips as my base!